TALLAHASSEE — Florida's foreclosure crisis has affected more than homeowners, real estate agents and banks. It has put the courts in a bind, and this year forced state legislators to reverse the way the third branch of government is funded, just three years after having changed it in 2009. While changing how the court system gets its money, legislators spared the courts from budget cuts. The $446 million in the 2012-13 budget for all of the state's judges and their assistants, including circuit, county and appellate courts as well as the Supreme Court, is up slightly from the $437 million allocated in the previous year's budget. The courts' budget does not cover state attorneys and public defenders, who received the same amount as last year: $384 million for the state attorneys, $184 million for the public defenders and $13 million for appellate public defenders. In 2009, legislators revamped the way the courts were budgeted, based on recommendations from the courts. The courts asked to be taken out of the state's general revenue fund, the great bulk of which the state collects through sales taxes and other fees. Instead, they sought to cover their budget mostly through a trust fund of the money the courts collect, such as filing fees for cases, including mortgage foreclosures. Under that system, legislators created a tiered foreclosure filing fee schedule, with foreclosure filing fees set at $395 for properties valued at $50,000 or less; $900 for those between $50,000 and $250,000; and $1,900 for properties valued at $250,000 or more. Those fees covered 90 percent of the state courts' spending. The remaining fraction of the courts' budget came from the state's general revenue fund . By the end of 2009, foreclosures generated so much money that the courts had a $100 million cash reserve. But the volatility in foreclosure cases, which dropped precipitously in 2010 and 2011, caused judges to plead for more money and led legislators to ask the courts and clerks to come up with a way to make their revenue more stable. 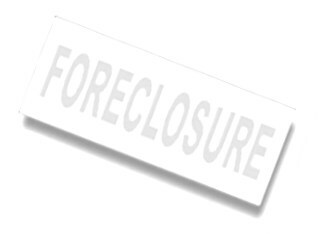 Foreclosure filings in Florida dropped from a high of 399,869 in 2009 to 243,971 in 2010 and 138,992 in 2011. That 65 percent drop over two years forced the courts to seek an emergency $19 million in 2010 and nearly $100 million in 2011. The legislature also included an extra $20 million in this year's budget to cover an expected gap for the remainder of the year ending July 1. And the courts have an extra $4 million to handle the backlog of more than 368,000 foreclosure cases. Under the change for the 2012- 13 budget year, foreclosure filing fees will go to general revenue, and 75 percent of the courts' budgets will come out of the general revenue fund, with the remainder coming from court fees. That should insulate the courts from the ups and downs of foreclosures, Senate budget chief J.D. Alexander said, and ensure the courts remain operational. "We felt like about 75 percent of their costs had to be paid no matter what," said Alexander, R-Lake Wales. "You've got to keep the judge employed. You've got to have a bailiff. You've got to have a court reporter." But clerks and judges said they found it especially frustrating when the courts ran out of money the past two years, because they believe the courts generate more than enough revenue to be self-supporting. Of the $1 billion collected in court fees, fines and costs last year, 65 percent was returned to the courts and the clerks, according to State Courts Administrator Lisa Goodner. The remainder went to 30 other trust funds and 18 agencies. Although the legislature's new plan stabilizes the courts funding, the courts proposed getting half their money from general revenue and half from fees, Goodner said. "Long-term the reliance on general revenue is still a concern," Goodner said. "If there's another crisis at the level that we had in '07, '08 or even '10-'11, we still have a concern about the courts having to take an across-the-board percentage cut in our budget rather than looking at the fact that we are a revenue generator and bring money into the state."